Women’s Heart Week is a great time to remind your friends of the small changes you can make to reduce your risk of heart disease. Tag a friend and challenge them to take a stand against heart disease. 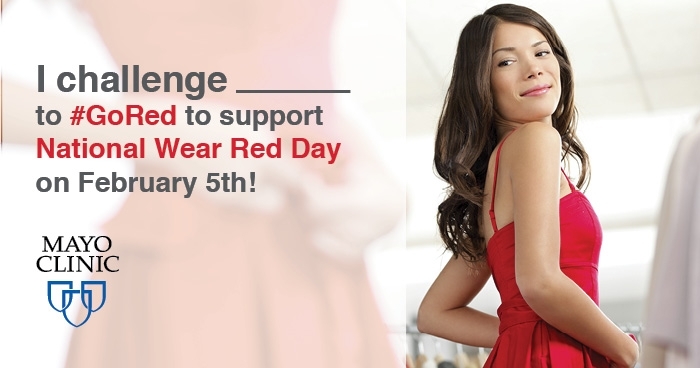 February 5th is National Wear Red Day. Every February 5th is a time to show solidarity for those fighting heart disease.